O.I.C. 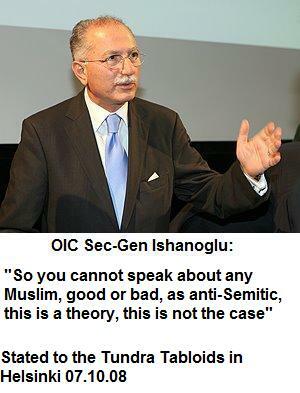 CHIEF EKMELEDDIN IHSANOGLU OUTRAGED OVER KORAN-B-Q, DEMANDS APOLOGY AND ADHERENCE TO SHARIA …….. – The Tundra Tabloids……. This comes from a guy who refused in Helsinki Finland to condemn Islamic/Muslim Jew hatred (anti-Semitism). Next Post Next Post ENGLISH DEFENCE LEAGUE RALLY IN HYDE……. 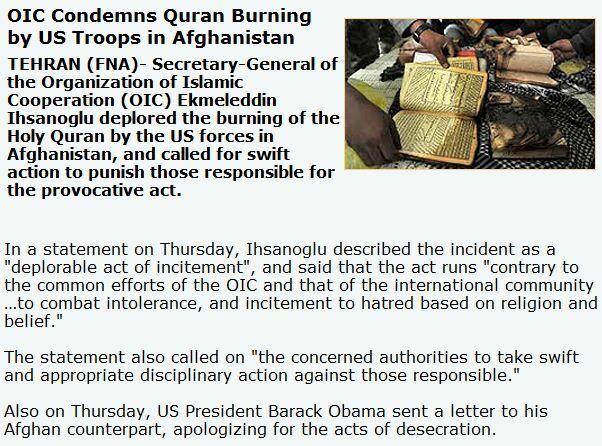 Time for the OIC to stop supporting the blasphemous koran, and to turn from mocking and blaspheming against the Son of God. The consequences for islamic nations are severe, should they continue on their present course; they will be judged and destroyed, but not by “islamophobes”.